Summer flowers have faded away and the leaves are falling from the trees, but there are still plants thriving in the forest. 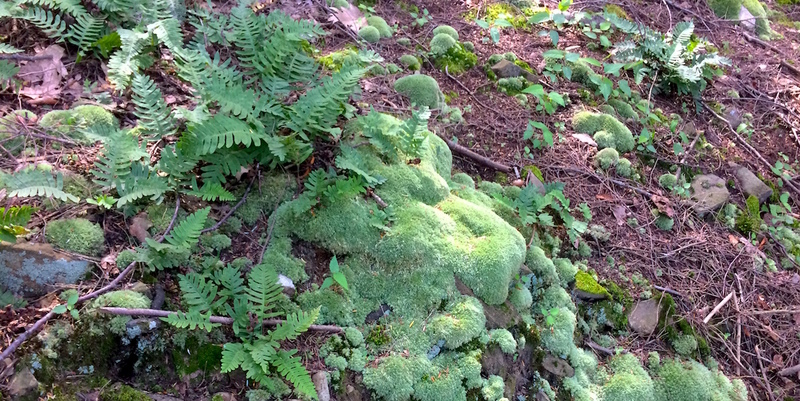 Some of the oldest species of plants on Earth are the humble mosses and the delicate-looking yet hardy ferns. On Saturday, October 13 from 1 pm – 3 pm, join Kestrel and Roberta Lombardi, botanist and Herbarium Collections Manager at the University of Massachusetts, for a fascinating exploration of fall plants at the Jabish Brook Conservation Area. We’ll look for mosses, ferns and other evergreen herbaceous and woody plants in a variety of habitats. We will also develop a plant species list along the way, and learn about the methods for proper collection and creation of herbarium specimens. The walk will be mostly flat and easy with a few moderate inclines. Roberta Lombardi has worked with the native flora of Massachusetts and New England for over 30 years, primarily with native habitats and rare species. This program is free but it is limited to 20 participants and registration is required. The rain date is Sunday, October 14.